Yay for the first letter to explore creatively! 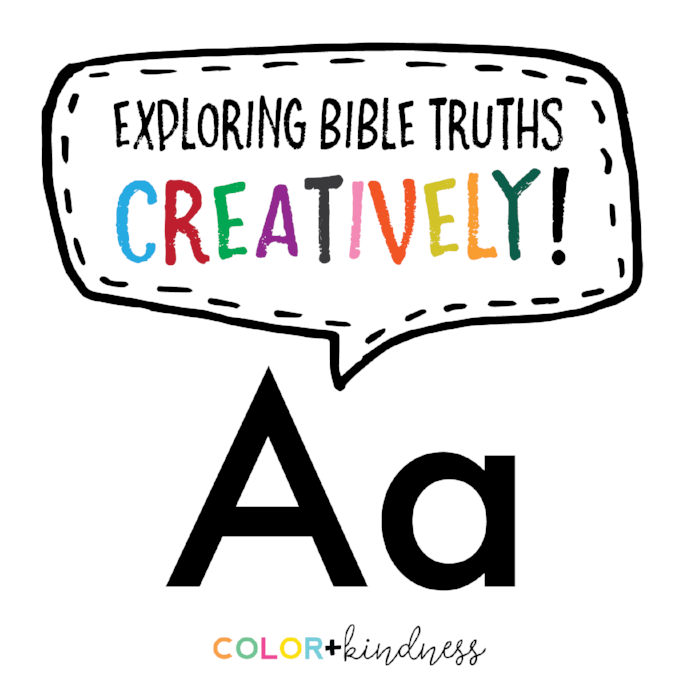 Letter A is all about how God ALWAYS keeps His promises. Isn't that such good news that we can share with our children? We talked about how God is faithful and promises to help us, never leave us, and always love us. This lesson includes making a cute paper rainbow and talking about God's promises, reading the story of Noah's ark, and painting raindrops. We've started putting the prints and some of the finished art work into plastic sleeves, so we can go back and look over what we've done.